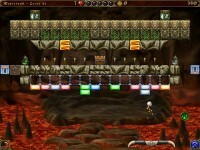 Free yourself and your people from the Four Walls by destroying blocks and making magic potions in this wicked breakout! The grim age of ignorance has fallen over the people again. The Dark Wizards have taken advantage and have enslaved you and your people within the Four Walls. It's up to you, the follower of a jester and a sorceress, to bring freedom to the people again. Bust through 100 magical levels and battle the four Dark Wizards as you mix up potions and unleash spells to get out!Don't let the wizards prevail! 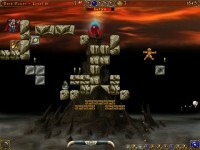 Start your Runic quest today! 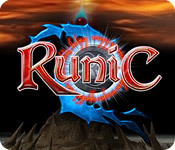 Tell someone about Runic Game! 8DSDdP You made some clear points there. I looked on the internet for the subject matter and found most individuals will consent with your site. ihN8O3 Thanks for the article.Much thanks again. Keep writing. 8HUgUb I appreciate you sharing this article.Really thank you! Fantastic. Yxv5vz I truly appreciate this article.Thanks Again. Really Cool.